Sam Allardyce begins his England managerial reign with a match against Slovakia in the 2018 World Cup qualifiers. 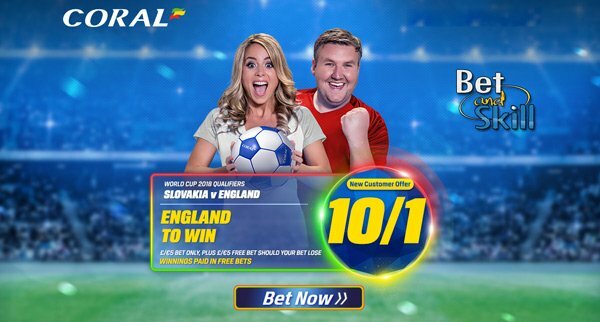 This article contains our SLOVAKIA v ENGLAND betting preview with predictions, betting tips, probable line-ups, team news, enhanced odds, exclusive promotions and no deposit free bets on the match! Slovakia had a decent Euro 2016 tournament in France until they were knocked out by Germany in the round of 16. They also met England during their final Group C match in France, a match which ended as a 0-0 draw. The hosts have only lost one home game since losing 2-1 to Bosnia Herzegovina in September 2013 and have beaten the likes of Spain, Switzerland and Iceland in the process. Manager Jan Kozak is expected to field their strongest lineup here, with few notable injuries. In fact, Vladimír Weiss isn't in the squad and Ondrej Duda is sidelined. Napoli's Marek Hamsik will be the star of the show with Martin Skrtel also involved, while Jakub Holubek and Jackub Povazanec are the uncapped pair in the squad. England will play their first game since a surprise 2-1 defeat by Iceland and they want to put behind their poor showing at the Euro 2016 final tournament this summer as soon as possible. New manager Sam Allardyce Allardyce will be hoping for better fortunes in his opening game. The Three Lions have good form in recent qualifiers, with a 100% win record in the Euro 2016 qualifiers and an unbeaten campaign during the 2014 World Cup qualifiers. West Ham winger Michail Antonio has been named in the 23 man squad while Luke Shaw has been sent back to Man United for precautionary reasons. John Stones, Jordan Henderson and Adam Lallana will replace Chris Smalling, Dele Alli and Daniel Sturridge compared to the lineup who started the Euro 2016 defeat by Iceland. Kyle Walker picked up a knock last time out but he is expected to start at right back. Ross Barkley, Leighton Baines and Jack Wilshere have been omitted. Goalkeeper Fraser Forster has withdrawn from the squad with an arm injury. 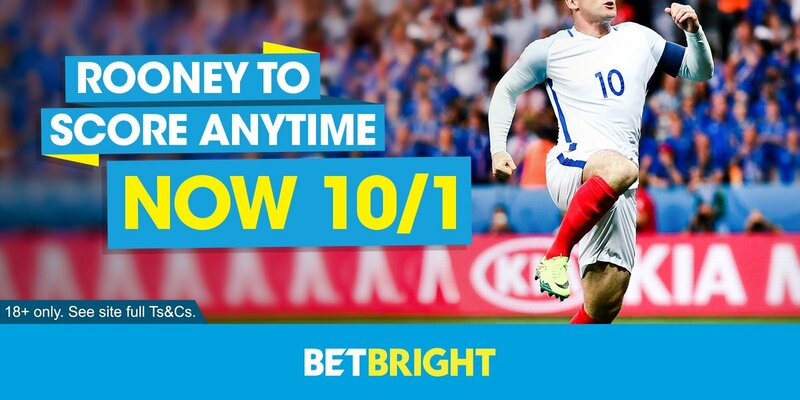 "Slovakia v England predictions, betting tips, lineups and free bets (World Cup qualifiers - 4.9.2016)"